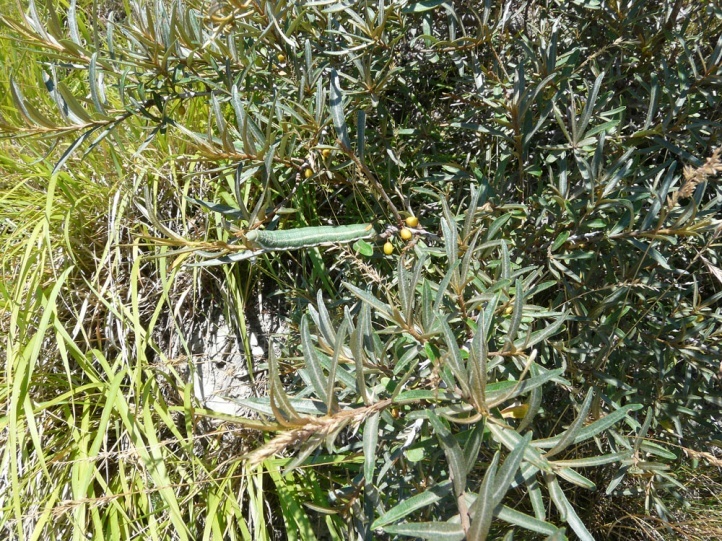 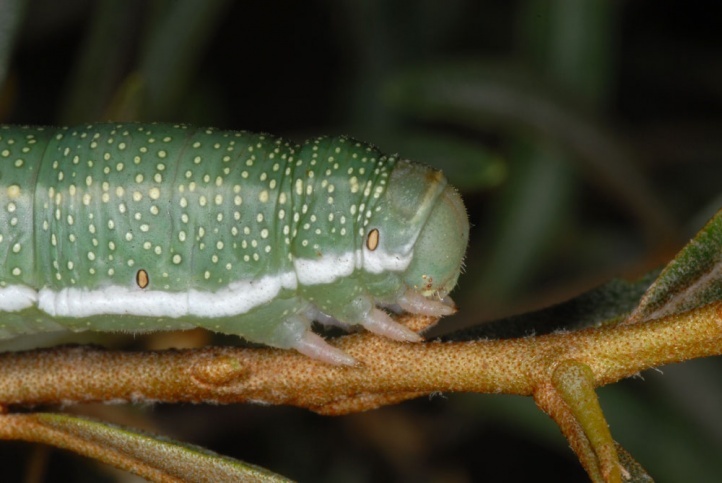 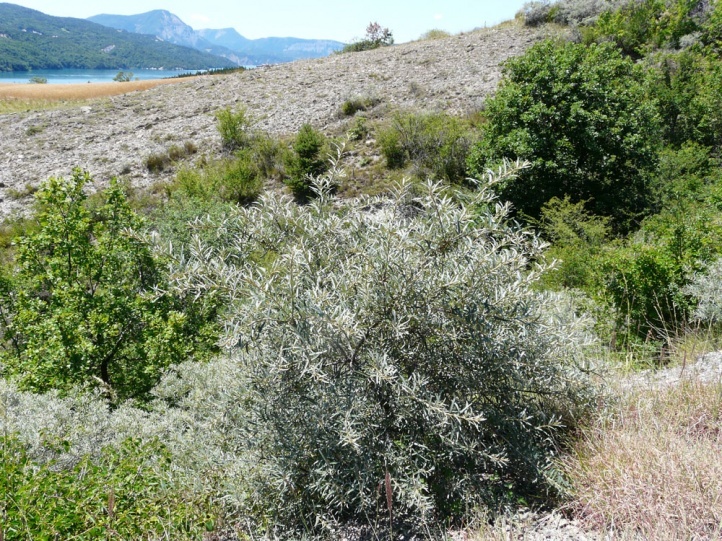 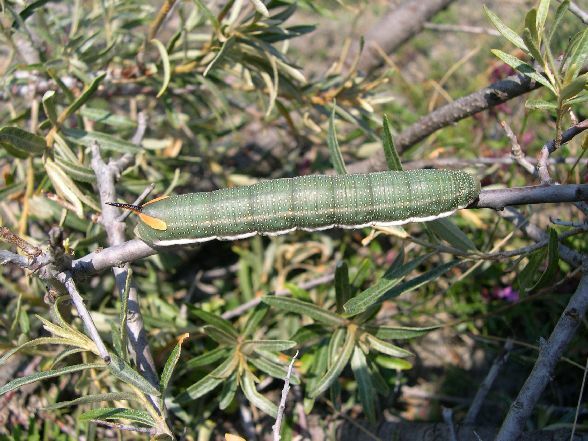 The caterpillar lives on sea buckthorn (Hippophae rhamnoides), in the southeast (Turkey) also on other Eleagnaceae (Eleagnus). 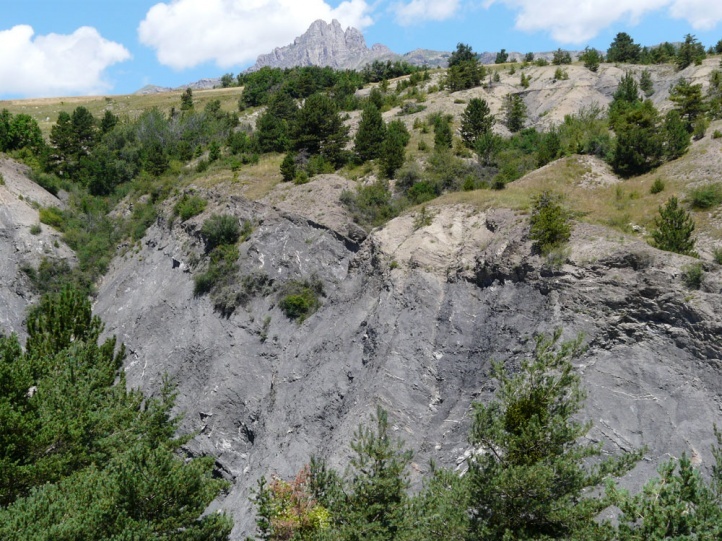 In Europe, Hyles hippophaes settles hot, dry, stony habitats up to about 1300m above sea level, and preferably at the edge of wild floodplains close to or in the Alps, where Hippophaes grows in an early succession stage. 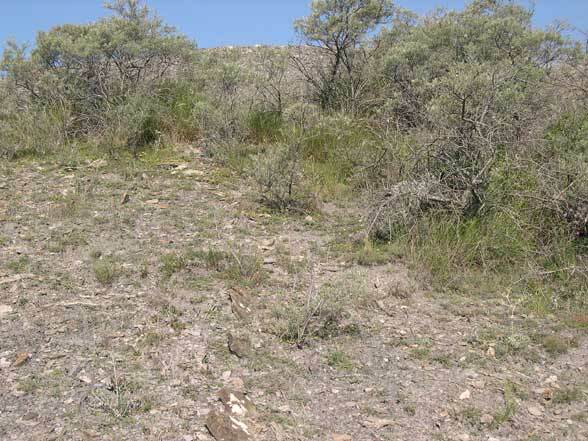 Hyles hippophaes inhabits also rocky slopes in these regions. 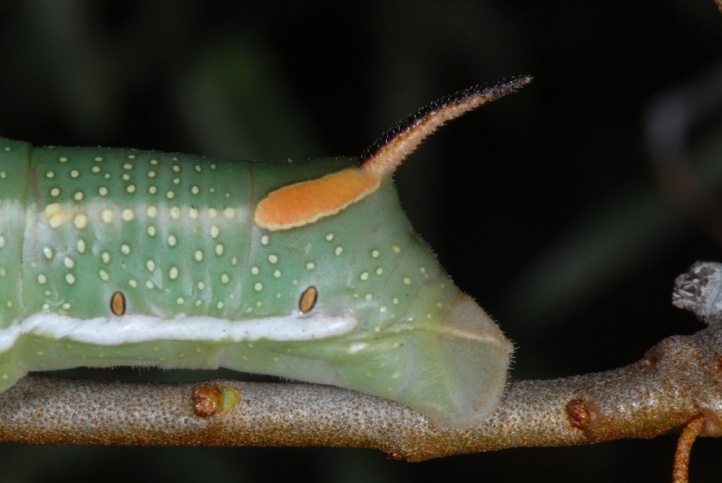 Hyles hippophaes forms one or two generations, but the second one is only partial. 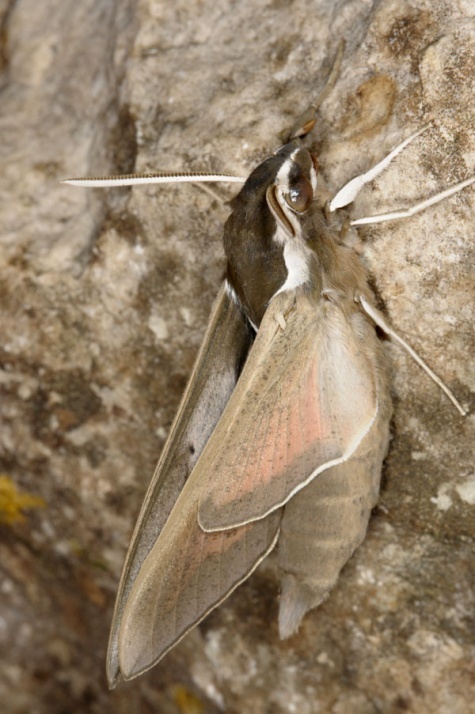 The moths fly from May to July and separated again in August/September. 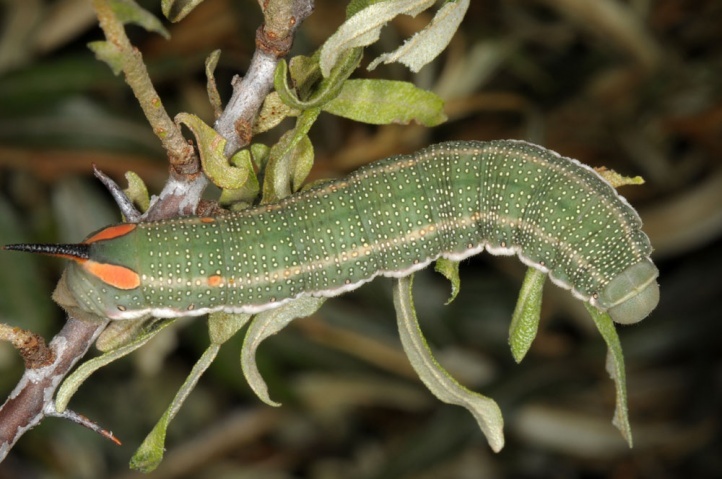 The larval time is from June to October, but by far the most caterpillars are observed in late June and July. 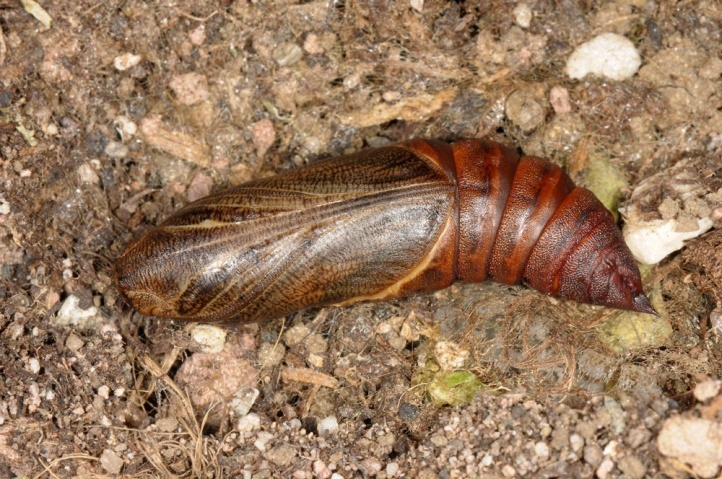 The pupa hibernates as with all European Sphingids (except the migrant butterfly Taubenschwänzchen). 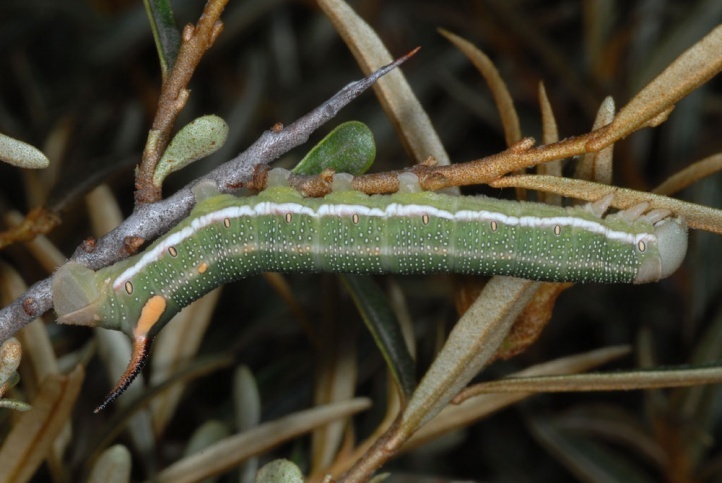 Hyles hippophaes is strongly threatened by river regulation, gravel and electricity industry, construction of roads, housing developments, agricultural intensivication (creation of vineyarrds on rocky slopes in floodplains) and by succession. 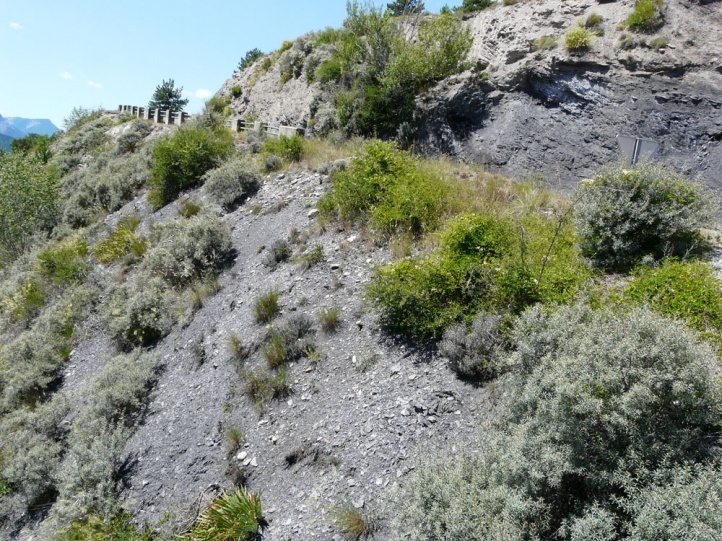 Most once mile-wide floodplains have been destroyed, the river forced into a straitjacket. 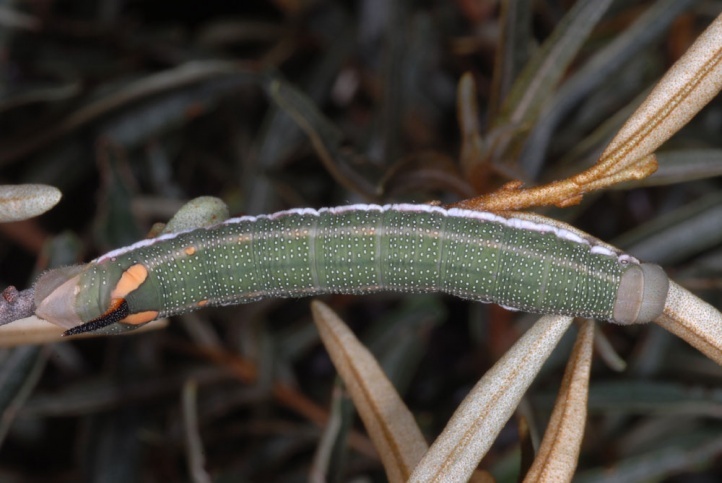 This proved fatal for many specialist insects (and other living beings) such as many grasshoppers like Bryodemella tuberculata.Hyles hippophaes can be preserved only if the habitats are protected extensively. 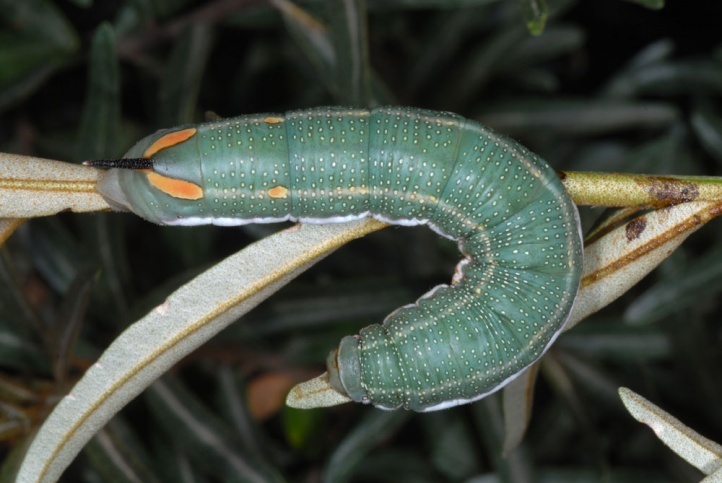 In southern Central Europe, Hyles hippophaes is largely eradicated. 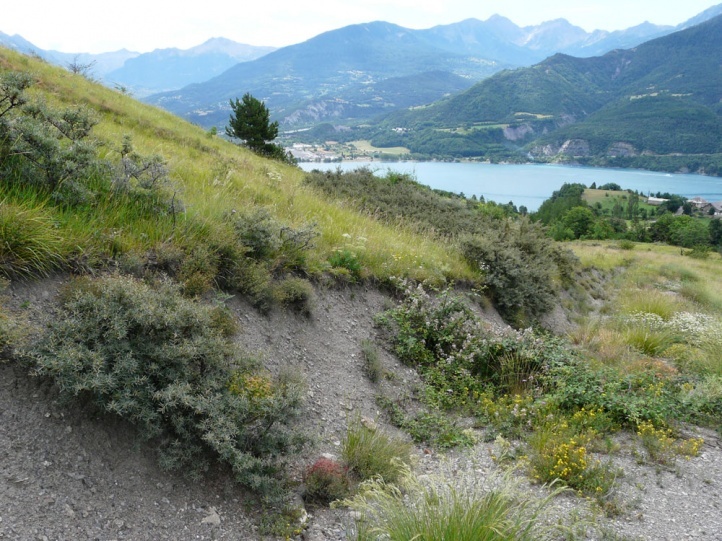 Last outpost is a residual presence in the Rhone Valley, Valais, where it could also possibly be gone already. 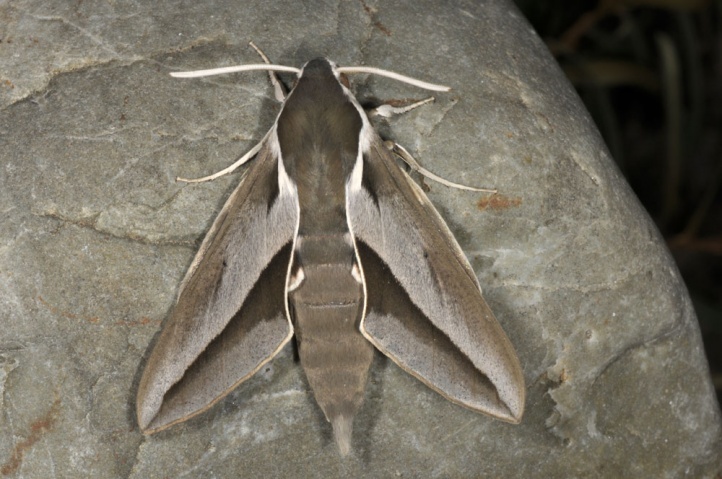 Hyles hippophaes does not occur north of the Alps. 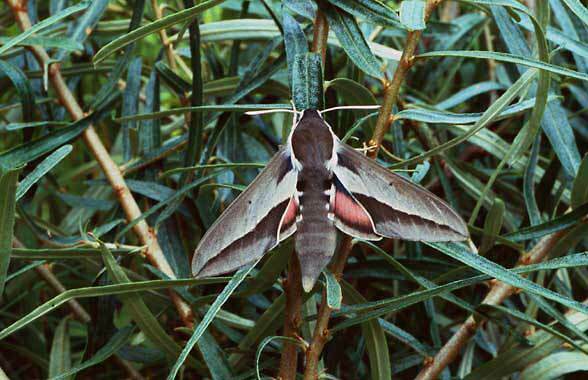 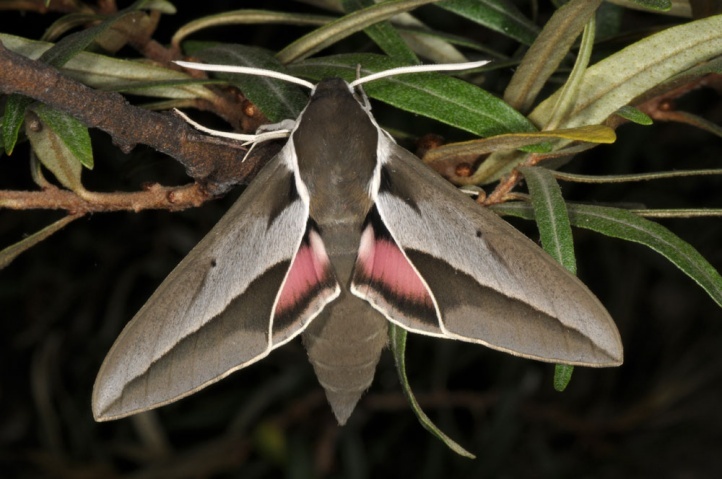 In Europe, the moth is very rare in the Alpine region, more frequently, for example, in the southwestern French Alps, particularly in the valley of the Durance. 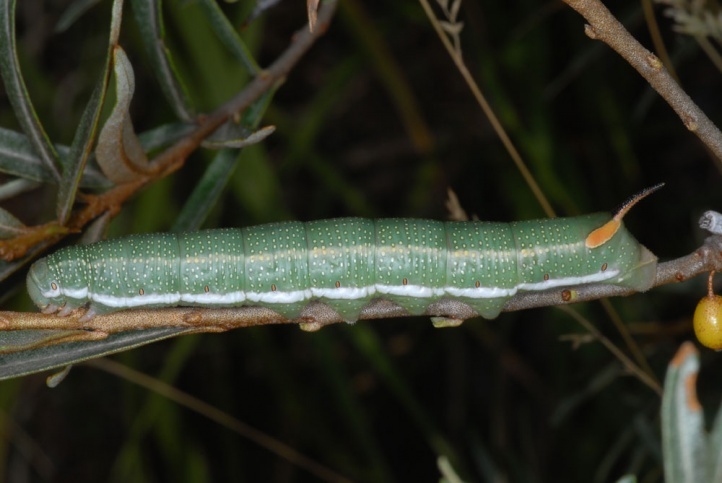 There I found, for example, caterpillars in mid-July 2005 and 2012 at xerothermic places. 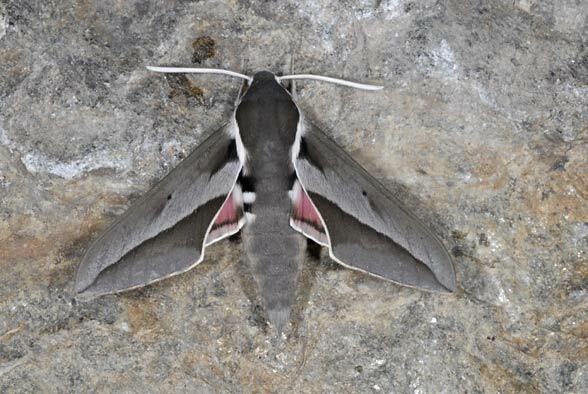 Hyles hippophaes is distributed from the Pyrenees locally across Southern France, the Southern Alps, parts of Italy (Apennines) and obviously also of the Balkans to the Black Sea. 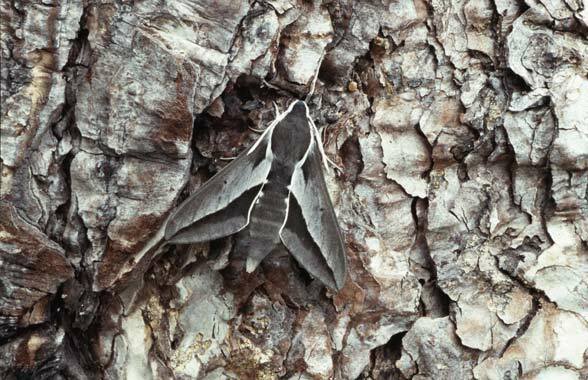 Additionally, Hyles hippophaes occurs from Asia Minor to Central Asia.